I mentioned a few weeks ago that we randomly saw and fell in love with a house and put an offer on it even before talking to the bank (who does that?). Well we got it, and our closing date is quickly approaching and we could not be more excited. Moving gives us a chance to de-clutter before we get in the new place. Simplicity is something we both yearn for at home. The things we’ve found we’ll be okay without? : a fold up chair that hadn’t been used in 7 years (will get much more use in C+J’s house), framed artwork that no longer matches our colors (you’re welcome, mom), a futon (still up for grabs), a non-flat screen TV, 3 computers & a printer/scanner, 8 bags of clothes/sheets/blankets, tons of random picture frames (Aruba? Family? Florida? ), and the rickety bookshelf I’ve had for too many years. I’m looking forward to the opportunity to decorate a new place. My husband owned our current home when we met, so it had already been given his personal touch (in the form of a Virginia Tech room and a green kitchen). I do love the Hokies, but I’m hoping in the new house to have an office space with less maroon and orange decor. And the good news is, my husband will be traveling, so he’ll get weekly surprises when he returns home to see what I’ve accomplished! Trees/bushes for the back fence line for privacy – I love our neighborhood but I also love privacy, plus the dogs need something to pee on! Bikes! 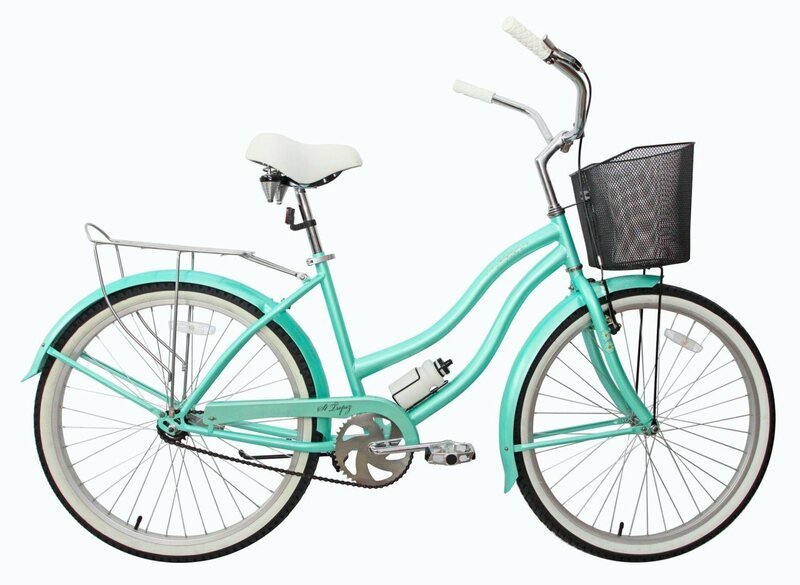 We’re so close to everything that we can just cruise around on our bikes instead of driving and looking for parking! 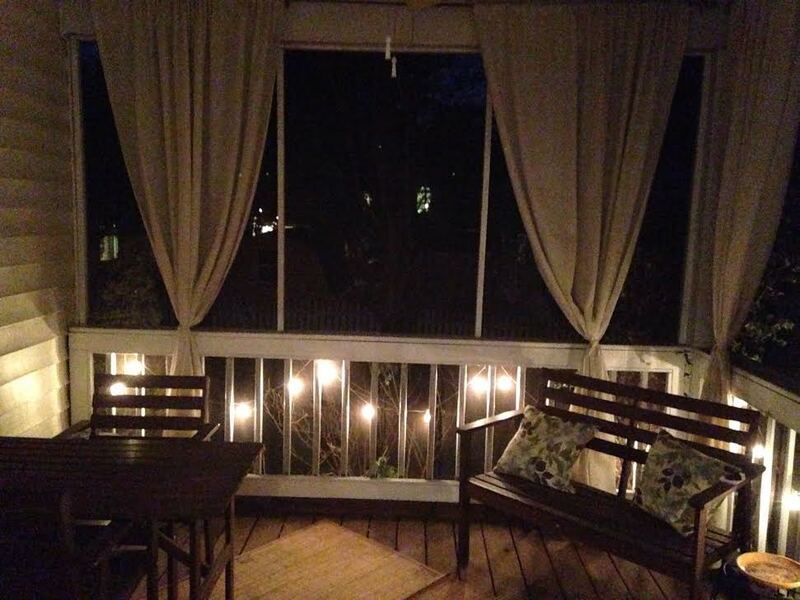 I know we’ll spend a ton of time on this porch, whether for morning coffee, afternoon lunch, dinner, cocktails with friends, or any number of other reasons to be out there. We are totally smitten with this aspect of our home. I would love to hear your favorite decorating/home item sites so I can start my search for the perfect new items for our pretty little house – feel free to share in the comments! The last time I wrote was two weeks ago. Since then, my husband accepted a new job, I traveled to Boston and Indianapolis, we went to the Heat/Bobcats game (and Shane Battier sent me a personal message on Twitter), I ran 25 miles, I got certified in Change Management, my husband was interviewed for a follow up story in the New York Times, I turned a year older, and we bought a house. So, per usual, my excuse for not writing is that we have been BUSY. However, I could not be happier about the busy moments that are happening in our lives right now. 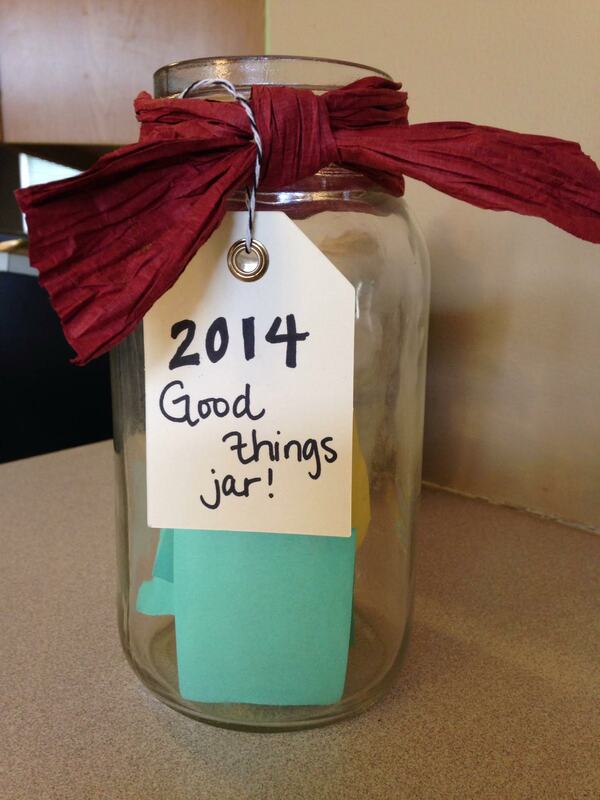 We started a “good things jar” on New Years day and have been diligently putting in notes about any thing that we determine to be good (i.e. : new job, new house, fostering puppies, etc.). I love this idea because not only can we see how our jar fills up (cup overflowing much??) throughout the year, but at the end of 2014, we’ll be able to sit down and remember all of the good things that we might have overlooked otherwise. It will be a good reminder to us of how blessed we were throughout the year and how lucky we are to have so many good things in life. Bonus: the jar was used as a decoration in our wedding festivities! 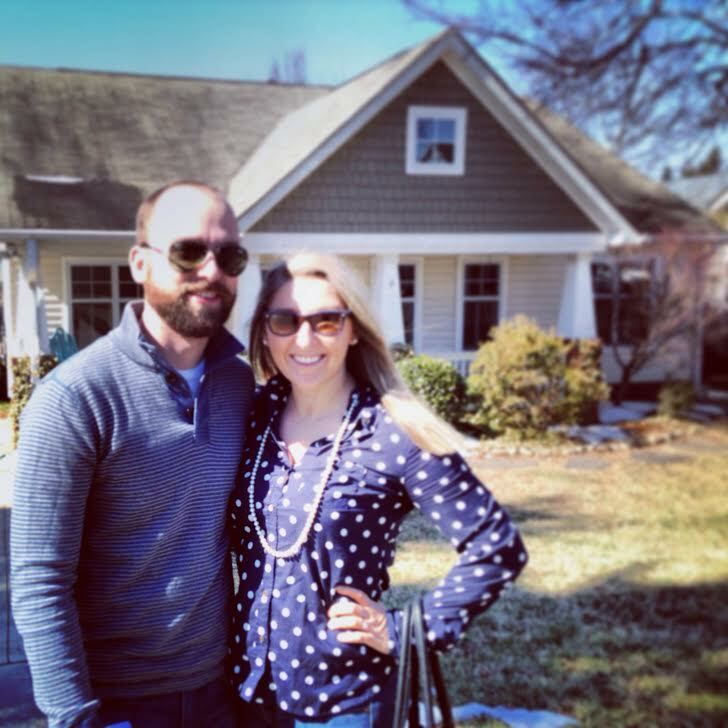 As we were frantically getting pre-qualified for our adorable new house, in the middle of a bidding war, and me having just returned home from -2 degrees Indianaoplis, my husband made the comment that he felt like everything was happening to us all at once. I had to remind him that we wanted all of this to happen: he wanted to go to grad school, I wanted to be certified in Change Management (which required me being out of town the week we were trying to buy the house – the same house that I had never even seen the inside of! ), he wanted that new job, and we wanted to buy the house. None of these things just happened. Yes, it’s a lot and all at once, but isn’t that life? If it wasn’t this scenario, it would be me in grad school, consulting on social media, taking on new jobs, traveling for work and planning a wedding. We are not alone in our busy-ness. How we choose to handle the situation is up to us. I choose positive. I choose to be excited about everything that is happening in our lives (not to us). I choose to be happy about our new house, his new job, and all of the new adventures we are going to have. 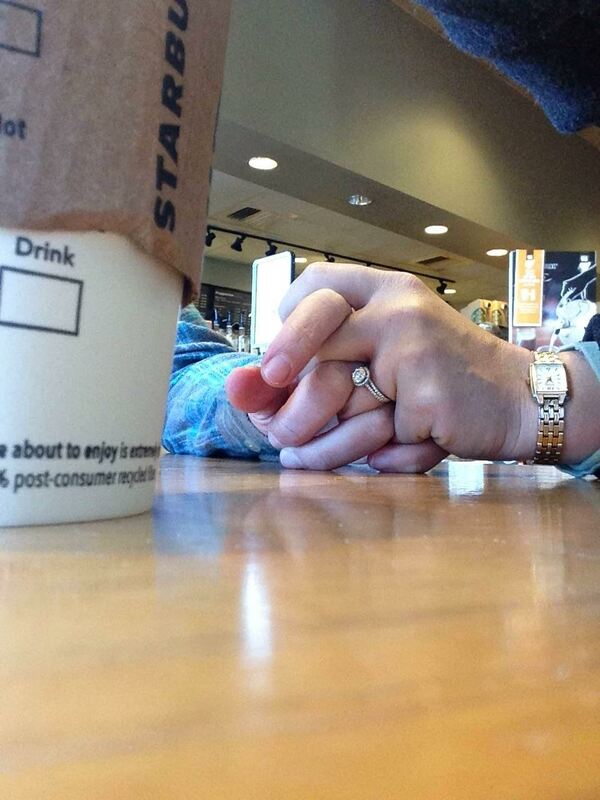 I’ve decided to transition my blog from a bridal/wedding blog to a life blog about maintaining happiness in your life. More to come as I build out this place where I’ll share more of our stories and more on keeping a positive attitude and cultivating happiness in your life, your marriage/relationship and maybe even rubbing off on some of those Eeyores we know in life. I hope you’ll continue to follow along!